Independent presidential candidate Evan McMullin on Sunday labeled Republican nominee Donald Trump a racist, calling for more people to "come out and say that cleanly." "Donald Trump is a racist," McMullin said in an interview at the Texas Tribune Festival in Austin. "Trump is a racist brand. We need to call a spade a spade, and any American leader needs to stand up for equality in this country." In his long-shot bid for the White House, McMullin, a former CIA officer, is seeking to appeal to voters repulsed by both major party nominees, Trump and Democrat Hillary Clinton. Trump has history of positions and statements that have been denounced as racist, including his insistence earlier this year that a federal judge could not do his job because he is Mexican-American. On Sunday, McMullin also took issue with what he described as a failure by the GOP to stand up to Trump. 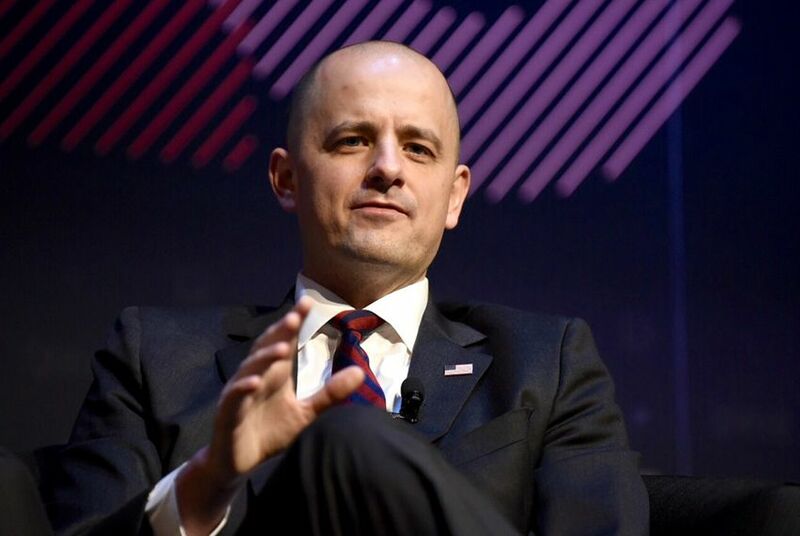 "Because of that, I question the Republican Party as a politically viable movement for the conservative movement, for true conservatives like me, and I question whether it can be a viable vehicle for American leadership," McMullin said. McMullin is one of a few alternatives to Clinton and Trump running credible campaigns. Asked Sunday about another alternative — Libertarian nominee Gary Johnson — McMullin lit into the former New Mexico governor as woefully unqualified for the White House. "He doesn't even know where Aleppo is," McMullin told an audience member, invoking Johnson's failure to answer a question earlier this month about the war-torn city in Syria. "I believe that he is unfit for the presidency, and I believe that he reveals that reality to America every week." Amid a renewed debate over Edward Snowden, Libertarian presidential nominee Gary Johnson said he would pardon the whistleblower based on his knowledge of the case. One day after endorsing Donald Trump for president, Texas U.S. Sen. Ted Cruz refused to say whether he thinks the Republican nominee is fit to lead the country.